Projectors inside the Haas-Lilienthal House will show a 15-minute looped display every night from 5 to 9:30 p.m. through the last week of November at 2007 Franklin St. in SF. As you walk down Franklin Street in San Francisco this month, you may catch the flickering of light and see, from the corner of your eye, a glimpse of a laughing figure from the past. It may be a woman in the glamorous hat of a different decade, or perhaps a little child grasping a brightly wrapped present. 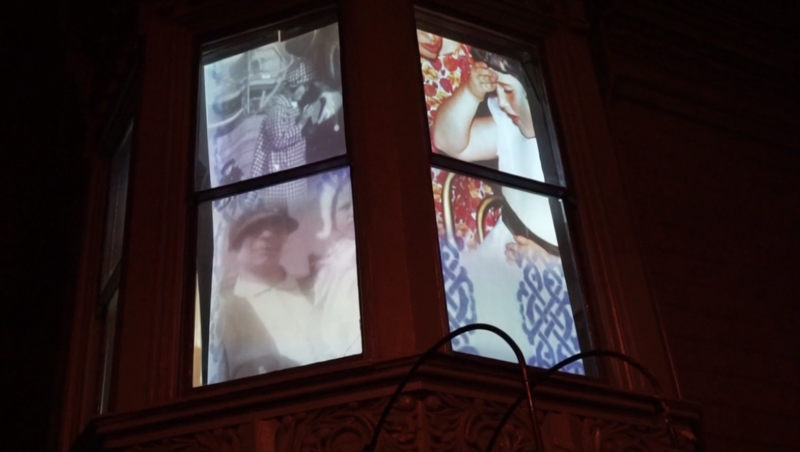 They are the people of the Haas-Lilienthal House — a lavish Pacific Heights mansion built in 1886 by prominent German Jewish immigrants and now a museum — that artist Ben Wood has projected onto the windows. The installation is running through November to celebrate the house’s renovation and reopening. 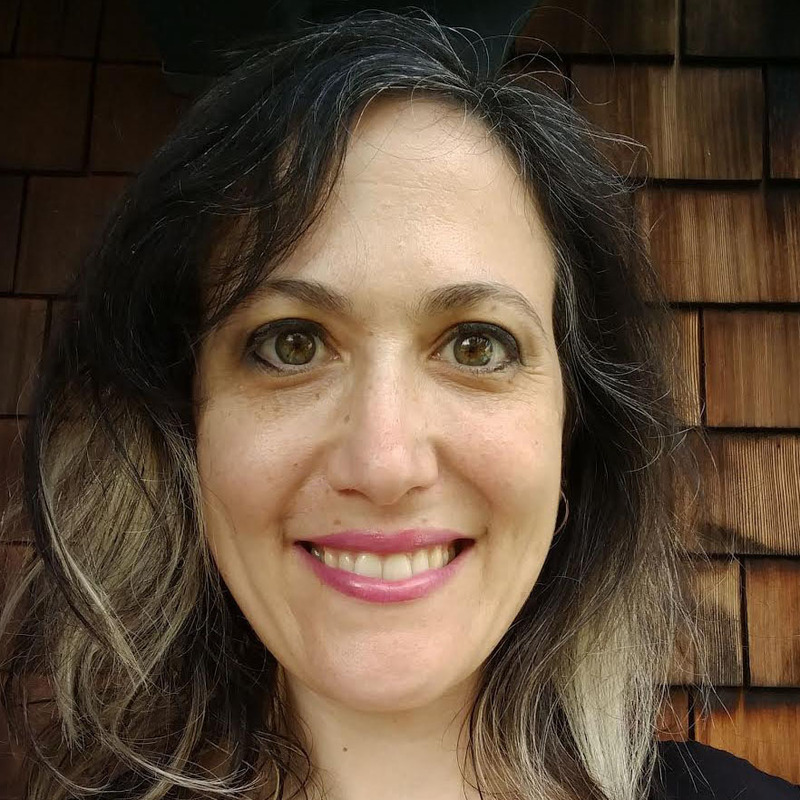 “The house is such a critical anchor of San Francisco history, and San Francisco Jewish history,” said city native John Rothmann, a descendant of the original homeowners. Wood has taken photos and moving images from the archive of the house, open to the public and also the headquarters of San Francisco Heritage, and projected them onto three large windows on the corner of the building. Stitching together pictures from the past and present, he has revealed the life of the inhabitants to the street in order to draw attention past the glorious architecture to the lives that were lived within. “What would happen if the house actually got to speak? And what would it say?” Wood said. He uses projectors inside the house to project reverse images onto sheets of vellum, so that from the outside the images are seen the way they were taken. The 15-minute looped display will run every night from 5 to 9:30 p.m. through the last week of November at 2007 Franklin St., between Jackson and Washington streets. “We basically want to celebrate the reopening of the house by having something to really engage people on the street,” said Mike Buhler, president and CEO of SF Heritage. The Victorian-style house was built in the mid-1880s by William and Bertha Haas, German Jewish immigrants who were members of Congregation Emanu-El. William, a grocer, was on the board of Wells Fargo, was the president of Mount Zion (the city’s first Jewish hospital) and was a generous donor to the progenitor of the S.F.-based Jewish Community Federation. His wife was a director of the Emanu-El Sisterhood. Lilienthal became part of the house’s legacy when Samuel Lilienthal married Alice, daughter of William and Bertha, in 1909. In all, three generations of Haas and Lilienthal descendants lived in the house for the next seven decades, until Alice Haas Lilienthal passed away at age 87 in 1972. A year later, the house was donated to San Francisco Heritage. According to the nonprofit organization, it’s the only house of its kind — a Queen Anne-style, “Gilded Age” house with original furnishings — open to the public. But because of its age, it had dry rot, peeling paint and rust that needed to be dealt with in order to preserve it for future generations of visitors. The house was closed from April to October this year for renovations, paid for with a capital campaign that raised $4.4 million. To set the stage for the reopening, Wood went through a lot of photos and film — including the archive at the house, the recently republished book “Haas Sisters of Franklin Street” (by Frances Bransten Rothmann, John’s mother and a granddaughter of William and Bertha), albums and films owned by family members and home movies digitized at the Magnes Collection of Jewish Art and Life in Berkeley — to find what he wanted to use to represent each age of the house. “We had a rich trove of material to work with that really lent itself to Ben’s approach,” Buhler said. Jon Rothmann shows off one of the Haas-Lilienthal House’s parlor rooms. It wasn’t just any family photos Wood was after, but images that showed “a window into their world.” Then he had to decide how, and in what order, to present the movies and pictures. “What I’m showing is just the tip of the iceberg,” he said. The images are larger than life — and Rothmann, whose grandmother, Florine Haas Bransten, lived in the house and who himself spent a lot of time there, said seeing himself there as a child was moving. “It’s humbling, but it’s also an amazing thing,” he said. “It was a kind of innovative new approach to animate the space,” Buhler said. Wood is already known for his site-specific projections that bring history to the present day in innovative ways, such as a Mission Dolores work in 2004 where he projected a previously hidden mural painted by local Native Americans. For the Haas-Lilienthal house, his approach was to open up a window to the past — almost literally — by exposing passers-by on Franklin Street to the weddings, Christmas parties, games and laughter that the residents of the house experienced. “It’s in the space where it happened,” Wood said. And Wood is glad that his project has allowed some of these moments to come back to life, drawing in new people to the history of the special home.